As one of the most storied athletes of his generation, LeBron “King” James is a perennial National Basketball Association “Most Valuable Player” and perpetual championship contender, all while owning a production company and serving as an active philanthropist. Within the last few months, James and his company, UNINTERRUPTED, have been on both ends of cease and desist letters regarding sports talk shows set in barber shops. 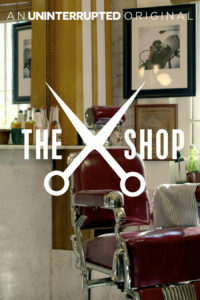 In April, James’ attorneys informed the University of Alabama that the school football team’s web-series, “Shop Talk,” infringed on the “copyright, trademark, and other intellectual property rights” held by the UNINTERRUPTED program, “The Shop.” Just weeks later, UNINTERRUPTED received a similar letter from a Michigan-based barber with his own barber shop talk show. The latter case is yet to reach a meaningful outcome, so only the former will be discussed here. Letters threatening legal action are common, though the letter sent to the Alabama football program lacked grounds on nearly every claim. Why then did the University of Alabama give-in to baseless claims? Copyright protection exists for “original works of authorship” that are “fixed in any tangible medium of expression.” Tangible mediums can include writings, digital files, and recordings, but simply having an idea is not enough to “fix” a work. Copyrights exist immediately after a work is created, though their scope is limited to the expression of ideas, rather than the ideas themselves. For example, the famous franchises Harry Potter, Star Wars, and Lord of the Rings all track seemingly-ordinary individuals who are called from their homes to be part of a journey greater themselves. The hero characters take guidance from established mentors, break barriers into fortresses that holds something of value, battle villains, and ultimately return safely. These works do not infringe on one another. As with these variations of the “hero’s journey,” talking about sports in barber shops is an idea that’s been lawfully replicated in film, television, radio, online video, and podcasts. Trademark law protects words, names, and symbols that are “used by a person to identify and distinguish their goods.” Marks create relationships between a brand and a customer. For strong brands like Apple or Chevrolet, customers are able to identify the brand just by its respective logo and almost instantly conjure their opinion of that particular brand. Ideally, trademark law ensures that relationships between manufacturers and customers remain free of confusion between brands. The stronger a mark is, the easier it is to protect through trademark law. Strength is defined on a spectrum of distinctiveness. For example, the brand “Exxon” is an entirely unique and “invented” word with high distinctiveness. A customer understands the mark’s connection to an oil company not because the word “Exxon” alludes to gasoline, but rather because consumers have a relationship with that particular brand. In contrast, a grocery store called “Grocery” is merely generic and not protectable. The barbershop talk shows at issue likely fit into a category in the middle of that spectrum called “descriptive.” Both “Shop Talk” and “The Shop” are written phrases about barber shops with accompanying scissor graphics. These marks describe the barbershop nature of the talk shows and don’t require a substantial leap in logic or association to see how the names relate to the shows’ premise. Descriptive marks can only be protected if they’ve acquired a secondary meaning, such as “Holiday Inn” hotels, which started as a description of the brand’s product but obtained societal recognition over time as a particular brand. Arguably, neither “Shop Talk” nor “The Shop” have any secondary meaning. Secondary meaning is established when the mark has become distinctive of the brand’s goods in commerce. Essentially, the consuming public comes to associate the mark with the producer rather than the product the mark describes. Such an outcome typically requires great expenditure of resources over time. Even if UNINTERRUPTED’s mark, “The Shop,” had achieved secondary meaning, the media company’s attorneys would still have to convince a court that the marks were confusingly similar. Important factors for confusing similarity include the products’ target markets, similarity in the marks’ sight and sound, and the likelihood of a product accidentally being consumed under the impression it was made by another brand. In this instance, “The Shop” and “Shop Talk” both cater to sports fans. While the marks are different, they do contain a word in common and were presented with similar accompanying graphic design. It is possible that someone could watch the University of Alabama’s program and think it was a product of Lebron James’ production company. However, such an analysis would only matter if one of the marks had achieved secondary meaning. So, the question arises, why would such a large brand, the Alabama Crimson Tide, fold so easily and change the name of their project? This web series provides visuals of a new barber shop in the football facility, features casual conversations with coaches and players, and showcases some of the program’s most successful alums, like Atlanta Falcons All-Pro receiver Julio Jones. In essence, the show is a direct line to fans and potential recruits. However, the show’s value to its owner and audience comes entirely from the content, not from its mark. An unfortunate reality of the American dispute resolution system is high litigation cost, both in time and money. Even if the University of Alabama prevailed in a lawsuit, what would they gain? Freedom to use a mark they likely chose only a short time before? The Alabama brand resonates strongly with alumni, fans, and recruits who dream of playing for a storied college football program. However, the show is just a means to the end of having new social media content. Athletic Department employees could craft a list of possible logos in an afternoon that would all get the same point across. One of the purposes of trademark law is to balance protection for marks that distinguish goods with freedom from unnecessary restriction on brand expression. Neither “Shop Talk” nor “The Shop” meets the underlying virtues of trademark law. Both marks are low on the spectrum of distinctiveness, outside the range of marks that trademark law seeks to protect. Additionally, neither mark is yet to resonate with audiences enough to carry secondary meaning. Components of law are often conceptualized as either swords to aggressively assert rights or shields to protect one’s rights from an infringer. On the same note, litigation strategy is often conceptualized in a cost/benefit analysis framework. 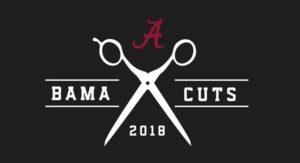 Here, even though Alabama had a shield against UNINTERRUPTED’s attempted stab, it wasn’t worth a fight and “Bama Cuts” came to be. On its face, this scenario appears unfair. Companies use the risk of a hassle to force other companies to act in a certain way. However, the scenario illustrates a critical mindset to have in trademark protection. Trademark law incentivizes brands to build relationships through strong marks that become intertwined with brands themselves. Commitment on the front end, such as thoughtful development and research of existing marks, is critical to future protection from lawsuits. Marks of high investment and of high value are worth fighting for. For marks that aren’t, just a few minutes brainstorming could make the problem go away.